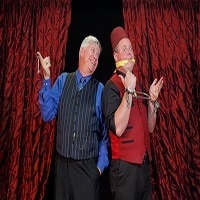 Specializes in presenting comedy magic shows that combine amazing magic, hilarious comedy, and engaging interaction appropriate for all audiences. Formed in 1997, we have produced numerous award-winning and critically acclaimed shows for a wide variety of audiences. Comedy Magic Show is our most popular production,. 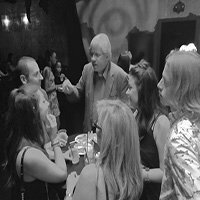 We perform at a variety of venues, including festivals, special events, conventions, seminars, banquets, In total, we produce and perform over 350 live Comedy Magic shows per year. 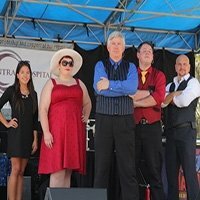 We grew up doing live theatrical productions and have been performing and working in live entertainment for over 40 years. We place a huge value on the relationships that we build with each client and this has lead to innumerable return engagements and renewed contracts. Because of our experience and knowledge. We can legitimately say that we have multiple long term loyal Comedy Magic clients throughout Florida that have trusted us for over 20 years! 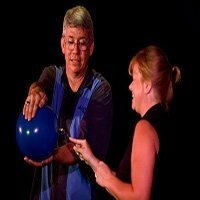 He has been a professional entertainer and group program facilitator for over 25 years. After completing his military service in 1989, he began performing as a magician at street fairs and fringe festivals in Europe, which began his long career interest in improvisational performing. 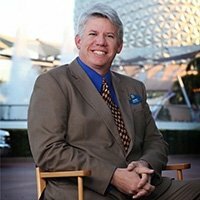 In 2010, he was selected to help develop and implement Disney’s new Leadership Strategies, Techniques of Teamwork, and Creativity programs for college-level participants. He has continued in his role as the Trainer of Facilitators for these programs. He is a recipient of the prestigious Disney Legacy Award, the highest recognition presented by The Walt Disney Co.! He is a member of the International Brotherhood of Magicians as well as the Society of American Magicians. He has won multiple performance awards, both domestically and internationally.